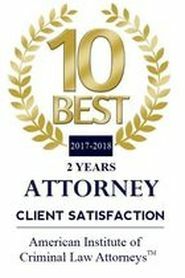 More information about attorney Dennis Gonzalez Jr.
Dennis Gonzalez Jr. is an experienced highly AVVO Rated criminal and civil litigator. Dennis worked as a prosecutor in Miami Dade County where he tried numerous jury trials, argued complex motions, and numerous criminal hearings. Dennis has handled and worked on hundreds of civil matters, including but not limited to homeowner's insurance claims, personal injury, and family law. 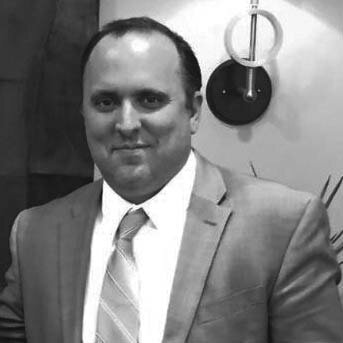 Prior to becoming an attorney, Dennis worked as a network administrator for the University of Miami where he handled various networking issues, security issues, and general information technology matters. This technical background brings a great amount of expertise and leverage as it relates to technology which is an ever present ever changing factor in litigation. Managing and Founding Partner at Gonzalez & Herrera, P.A. and Solo Practitioner at Dennis Gonzalez Jr., P.A. Dennis handles two very busy practices in the area of property insurance claims, personal injury, and criminal defense. To learn more about his civil practice go here: www.gnhpa.com and to learn more about his criminal defense practice go here: www.CriminalDefense.xyz. Dennis has also has lectured for the Paralegal program and the Website Design Certification class at the University of Miami. Prior to becoming an attorney Mr. Gonzalez worked with the University of Miami for 4 years as a Network Administrator for mission critical departments such as Financial Aid, Registrar's Office, Admissions, and the Division of Continuing and International Education. Mr. Gonzalez received a BA from the University of Miami College of Arts and Sciences, a Master’s Degree from the University of Miami Graduate School of Business, and a Juris Doctor from St. Thomas University School of Law. Mr. Gonzalez Jr. is a member of the Florida Bar and the United States Southern District of Florida (i.e., Federal Bar). "Dennis is an excellent attorney and I thank him for everything" - Mario Cubas, DUI Jury Trial Not Guilty Verdict, 2016.